We are building a formidable group of world class figures in football, if we do say so ourselves. A coaching set up made up of both Jurgen Klopp and Steven Gerrard is one to be excited about. 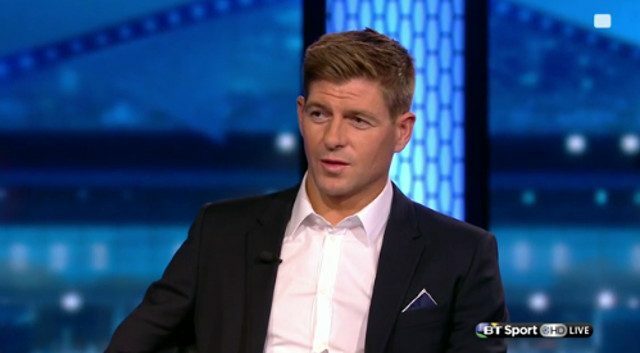 Gerrard has followed up his return to the club by expressing his admiration for the Liverpool boss and his attitude towards this month’s transfer window. He responded to yesterday’s shock 3-2 defeat against Swansea by stressing how talented a manager the German is and how fans would be foolish to stop supporting him. “Klopp’s probably thinking ‘I don’t want to waste my money in January if the right people are not there,’ if Liverpool fans are losing trust in Jurgen Klopp right now, it’s incredible. For me, we’re lucky to have him, he’s a world class manager, he’s going to bring success to this football club,” he told BT Sport via the Liverpool Echo. Klopp has made his transfer policy clear since the day he arrived at the club and if the right players for his methods and this set up aren’t there then we can fully expect to see this squad unchanged when the transfer window closes. That isn’t a problem, though. A new face would have been nice, granted, but we have absolute faith that this group of players are strong enough to overcome a difficult period and remind the rest of the league of how they managed to make it into the top four in the first place. Doubts at this stage of the season are useless. Klopp knows what is expected of this team and will be doing all he can to bring success to Liverpool.